The Construction Yard is where all life begins. It allows the player to build other structures, so defending it should be a top priority of any successful commander. 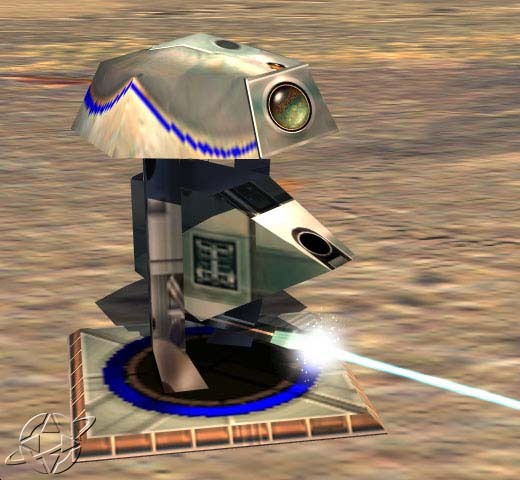 In some missions, the player starts with an M.C.V., which can be deployed into a Construction Yard. In other missions, the Construction Yard has already been placed. Nod Tiberium Reactors are the basic source of power for the Brotherhood of Nod in order to keep their bases and outposts up and running at all times. 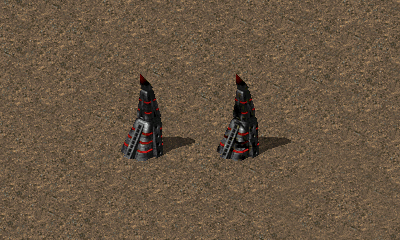 The Tiberium Reactors also double as a Tiberium Silo for additional Tiberium storage. Nod Core Reactors produce a massive amount of power to be supplied to a base. It does not have the ability to store extra Tiberium like standard Tiberium Reactors, however, due to its greater size and efficiency, Core Reactors generate more than twice as much power as a regular Tiberium Reactor making them valuable strucures. Caution is advised as Core Reactors are known to explode violently once destroyed. The Hand of Nod is the basic training area for all of the Brotherhoods Infantry. When In control of the hand of Nod, particular infantry can be trained on command. 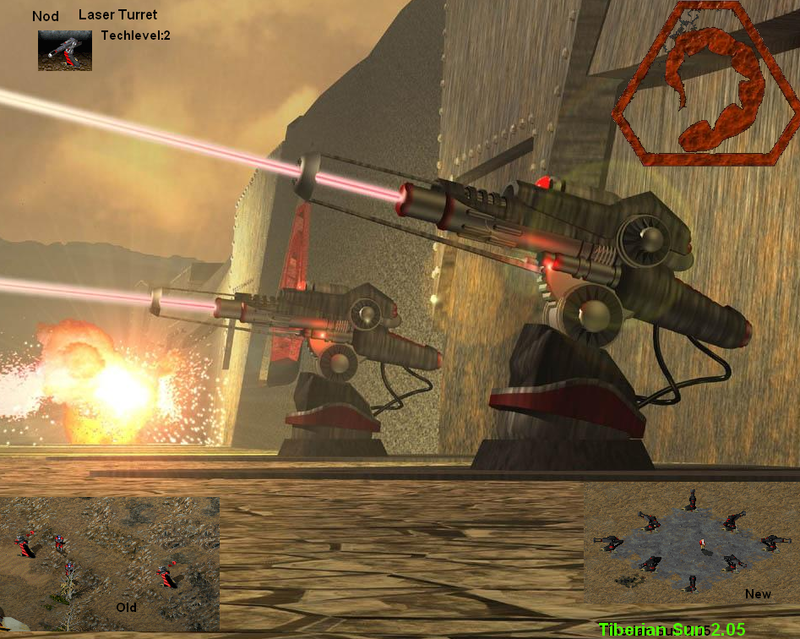 The refinery converts the Harvester loads of Tiberium into credits for the player. It also stores a certain amount of Tiberium. Once a refinery is full, silos must be created in order to store excess Tiberium. If there is no available storage capacity at a refinery or silos, excess Tiberium will be lost. The Fist of Nod also goes by a common name 'The War Factory'. The Fist of Nod is what supplies the brotherhood with all armoured vehicles on the battle field. The Fist of Nod acts like an underground bunker, underneath the structure is a large tunnel network of which the units travel under, once a unit has been requested to be on the battle field, the Fist of Nod rises up to ground level safely getting the vehicles onto the battle field. The Nod Radar is like a second pair of eyes for Nod Commanders allowing them to view scouted parts of the battlefield, enemy and friendly units on a small computer screen. 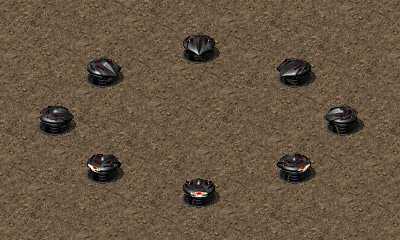 The Nod Radar also has the ability to detect enemy subterranean units and stealth units, once the Nod radar has detected an enemy, a light will flash on one of it's many antennae in the direction of which the enemy unit is approaching. Used to repair vehicles and aircraft. A vehicle or aircraft can land on this structure and if enough credits are available, the unit will be fully repaired. 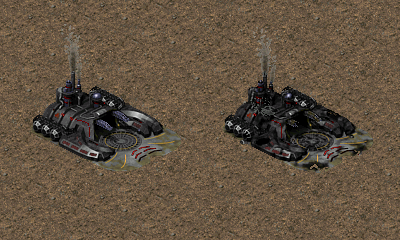 Units can be queued onto the pad by bandbox selecting all the units and targeting the service bay. These structures are the primary re-arming point for all of Nod's attack aircraft. The Hall of Faith is an advanced Hand of Nod which is where the construction of advanced cyborg technology takes place. These structures provide additional technology to Brotherhood Commanders granting them access to more advanced units, infantry and structures. 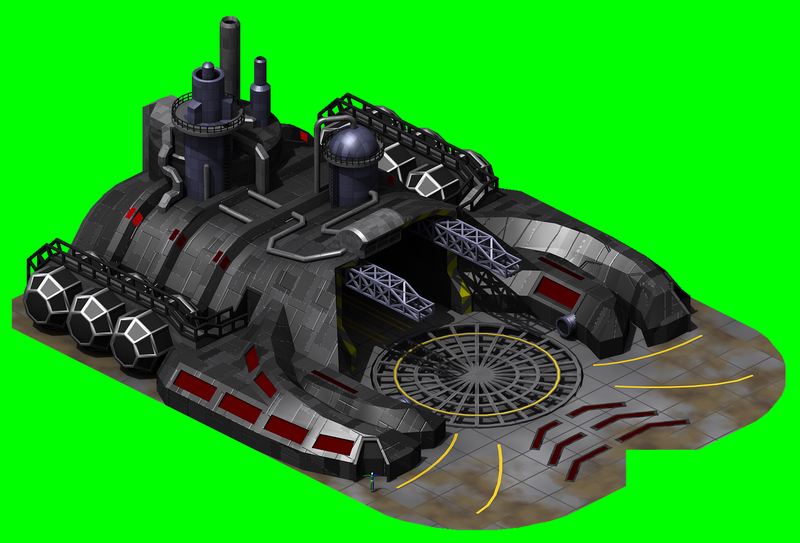 These large heliports are where all supplies necessary to construct the Brotherhood of Nod's Banshee Bombers are held. Without at least one facility located in a Nod base, construction of the huge bombers is impossible. The Brotherhood are notorious for their subterranean technology and sneak attacks, and the Seismic Projector is the latest in said technology. Seismic projectors are capable of focusing a powerful earthquake at a very specific location, capable of trapping infantry, vehicles and bringing even the tallest structures crashing to the ground. The Temple of Nod is an architectonic wonder, a monolithic structure that enemies fear. It functions as a high-class technology research centre, providing plans and equipment needed for highly powered and technologically advanced units and structures. The Temple itself is heavily armoured, capable of withstanding an immense amount of damage. The structure also has a secondary function; it houses a superweapon known as the Apocalypse Missile. Like the name suggests, it can level entire battlefields with one strike. 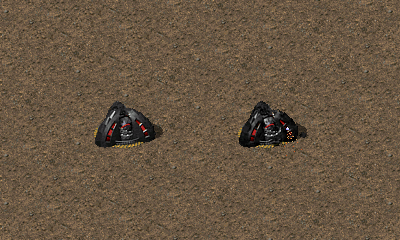 This basic base defence structure is effective in stopping infantry, however they are easily crushed by large vehicles. This basic base defence structure is effective in stopping both infantry and vehicles. 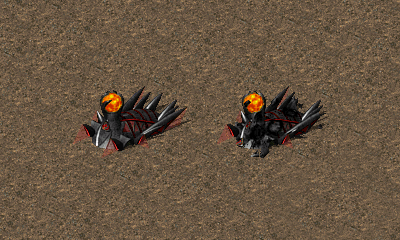 Only certain units can fire over Nod walls. This structure prevents enemy units and Tiberium growth from entering a base. The gate automatically opens to allow friendly units to pass but will not open for enemy units. The Laser is Nod's main base defence, primarily used for anti-infantry purposes. Like its larger cousin, the Obelisk of Light, the laser fires a focused laser beam at enemy units. These powerful anti-aircraft defence structures fire out multiple heat-seeking projectiles at once making short work of most enemy aircraft. 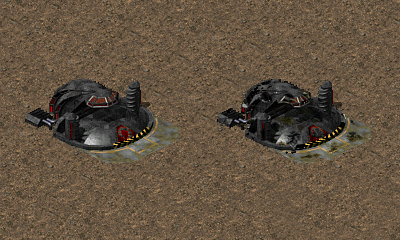 Whilst very effective, these Bunkers are a heavy drain on the Brotherhood of Nod's power source and take up more space than any other basic defence structure. The Obelisk of Light has been used by Nod for decades. The Obelisk is designed to eliminate any form of ground opposition with great ease using an extremely powerful laser beam. Due-to the large quantities of power required to keep a single Obelisk of Light on-line, it is not equipped with anti-air weaponry. Designed for the purpose of lightning fast base protection, Web Spiders are capable of deploying energy beams extremely dangerous to all forms of infantry and vehicles making them completely impassible. Alongside their mobility attributes, Web Spiders are able to travel underground in order to reach their appointed destinations at a much faster pace. In order for a Web Spider to function correctly, there must be a minimum of two deployed parallel to each other at all times. 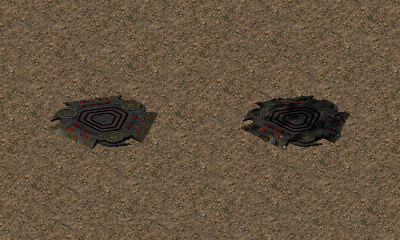 The Stealth Generator can cloak all units and structures in a large area. The base will remain cloaked until the stealth generator is turned off, the base becomes underpowered or the stealth generator is destroyed. Base defences and units under the effect will uncloak only when firing or leaving the area of effect. 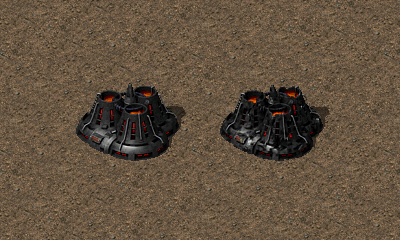 It should be noted that units exiting from a War Factory or Hand of Nod and Harvesters exiting a refinery will be visible briefly before the stealth generator adjusts and cloaks them. I gotta say the web spiders are like the coolest thing ever. To travel with the mobile base, its ztyping PERFECT! 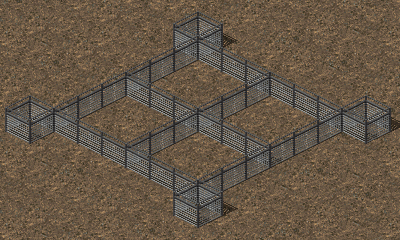 Now the only thing would be to get the fence section able to open/close for friendlies like a gate in YR, so that factories/refs can get protected from engies, but our guys can still access them. Is this possible? Is anything possible? All the animated ingame previews are gone? This as overview with links to the original separate topics would've been better imo. Also to allow discussions for a certain object only. I don't think every building or unit needs its own topic. I hate to say it but I don't see an abundance of discussion anyway. What's the point of this anyway, if there's a nice website with all the information included in it? A forum topic is where things can be discussed, there is no discussion board on the website. Tiberium Reactor and Laser Turret updated with new images of their new graphics by Lin Kuei Ominae. Check them out! We've also given the Web Spider a facelift too. Just as I was posting that, LKO shared another new Nod Structure amongst the staff group, check out his new Nod Stealth Generator. Glad to see that LKO have finally found enough motivation to continue with Nod buildings, I hope the set will be completed one day and it will not take another several years long break to happen. 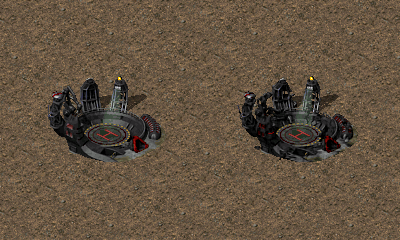 Nice approach to Laser Turret design btw, looks very stylish. And the rotating core of the Stealth Generator is a nice and interesting touch. LKO completed the new Nod Tiberium Refinery image yesterday too. damn, just thought there are bad bright pixel on the tower (e.g. due to a changed palette on your side), until i noticed that's the smoke of the damage smoke anim. Anyway good work on the refinery! The repair bay model is an old one, Except for the other, And will we be able play as globotech in the future? This must be the apocalypse, LKO is actually doing stuff and not bragging. I am genuinely impressed. It's good job, but I never expected these getting done at all. The PP and Ref have in addition to small glowing remap stripes also non-glowing normal remap on the structure, while all other structues have glowing remap stripes only, but these bigger and more prominent. The idea was to make these low-tech buildings a little less remap flashy. This structure went under a few changes while it was being produced in the staff forum, which is why the stuff in the cooling towers is now a red glow instead of green goo, though the green has been kept for other uses. I get the feeling that destroying one of those things is going to create quite the explosion. First of all, I'd like to praise the designer of the Nod buildings. It's a feat few people could've finished successfully. A lot of buildings give the typical "Nod" feeling when taking a glance at it. However, I want to talk about the new Nod Laser turret, which doesn't appeal to me at all. Don't get me wrong, designing a new look takes effort and we all appreciate the work. But the turret doesn't resemble anything Nod stands for. 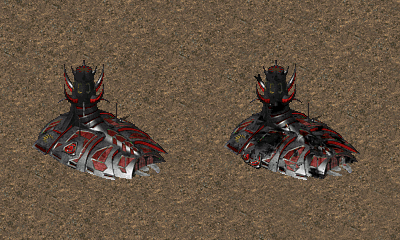 Most of these smaller turrets look extremely different to the Nod turret in this mod; they would employ barrels and look way more conventional. I might be wrong on this, and perhaps legitimate reasons are used for the design of the turret. If so, could you explain to me what are the key reasons the turret looks so differently and "(un)Nod-ish" according to your opinion? Nevertheless, again, I'd like to stress that this is meant as constructive criticism, most of the redesigns are extremely nicely pulled off! Kudos. The dictator you would vote for. I, for one, really like the new laser turret. It looks kinda like a flying saucer/banshee. It just occurred to me that images here are outdated, I will fix that shortly. Banshee Pad and Repair Bay. Does that mean all Nod buildings, with the exception of the Construction Yard, are completed? Edit: No. 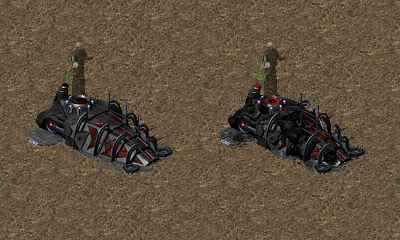 The Seismic Projector uses a placeholder still as well. And i think Mod DB site was down for some minutes. There we go, images updated. Only two more Nod structures left. Seems Globotech has a harvester too, I think it's going to be used when globotech be available on skirmish with 14 other missions. Hm... I have a question (not directly related to Nod buildings, but considering LKOs Refinery was the last uploaded building, I ask it here). What are the dimensions (X meters × X meters) of a tile? In other words: How big are the buildings, actually? this is pretty hard to tell. Especially since some buildings had to be done a tad smaller/bigger and not using a consistent scale, to make everything fit into the rather small space. But for my buildings a tile is about 15 meter x 15 meter. -The refinery docking area having the roof at about 11m height. The turntable on the ground having a diameter of about 18m. Attached an image showing a human dummy (in front of the south entrance), which i used as reference on many buildings. A biped which represents a human of about 1.8m height. This scaling would be consistent for most buildings, but the temple for example would be probably 150% the size in reality, as the center door on the SE side would probably have a height of about 8 meter in reality and not only 5.5m. Though don't even try to scale units according to these numbers. The faction buildings seem pretty consistent compared to each other. The biggest throwoff for me what made an accurate guess so hard were the civilian structures, but now I think of it, quite a few of them are still from Tiberian Sun, aren't they? In that regard i tried to stay close to the civil buildings scale. 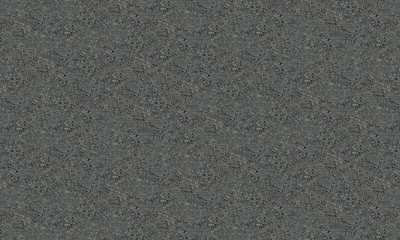 In TS, 8 pixel in height equal roughly 2 to 2.5 meter (because usually one floor on a civil building is about 8 pixel high) and i tried to stay close to that with my buildings too. I have been checking things in the map editor - with the buildings obviously cluttered together for a better sense of scale - and it is indeed less out of whack as it sometimes looks like, with the exception of the Village set. Special mention for the Farm House. Edit: I think the Village set is also less bad as it seems, it's just due to the way the buildings are positioned on the tiles that the buildings feel a bit out of scale.